Epic ninja battles across screen after screen! 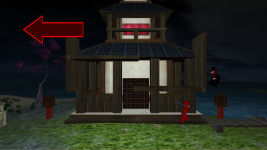 Use katanas, shuriken, and kicks to battle past your opponent through awesome 3D environments. Play single player or head-to-head multiplayer. And watch out for the mystic dragon! 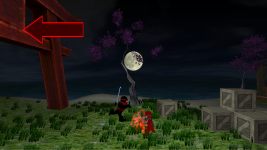 Coded Velocity has published the first gameplay video for Ninja Super Fight. This video shows the title startup, various level selections, and an exciting extended 2-player fighting sequence. The fighting action takes place on the first completed level for the game, call "Moon Islands". This level features two long islands connected by a narrow bridge, with crates, buildings, death traps, and other obstacles to fight across. 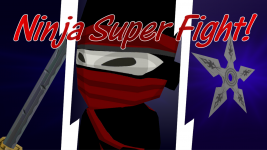 Ninja Super Fight is an all-new 1 and 2 player side-scrolling fighting game with exciting, continuous action across giant levels, in the spirit of popular one-hit kill fighting titles.